Original 2013, This piece represents ‘Pan’, a lesser god of the meadows. 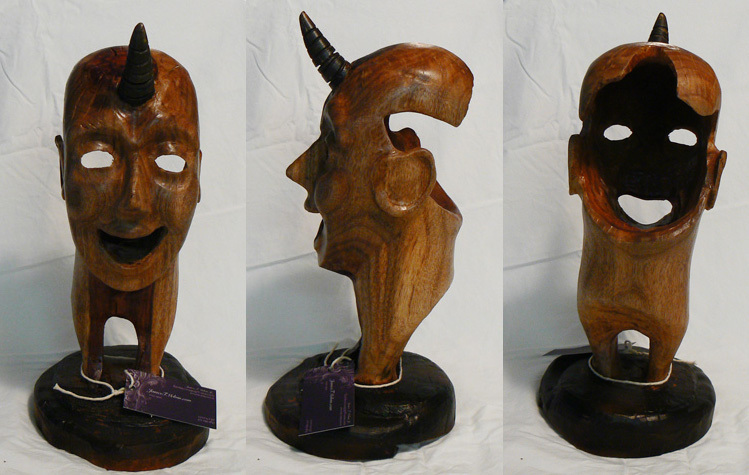 Hand carved White oak w/cows horn. Approx 14″H x 7″W.